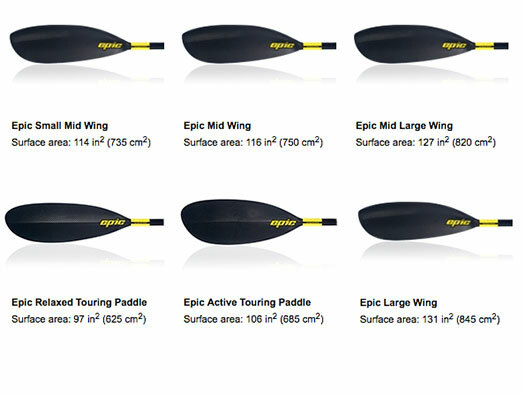 The Kayak Learning Center has been an Epic Surfski dealer since 2010. We also offer one of the largest surfski rental and lesson locations on the East Coast! We’ll help you pick the right boat. Come for a demo and leave with a boat! The new Epic V7 sets a new standard for rotomold performance. It is lightweight, extremely efficient, and easy to handle. The V7 is outfitted with the same high quality fittings as every surfski in the Epic lineup, including our carbon fiber footboard and pedals and the hugely popular Epic designed bailer. In addition, it features an aft storage compartment with a lightweight, waterproof hatch that puts the V7 in a class of its own. The 17’ x 21” V7 adds a whole new dimension. It offers similar stability to the V8 with the increased durability of a polyethylene kayak. With a hull design featuring specs of 18’ x 21.25”, the V8 is unique in its class. Fast, yet extremely stable, this is a surfski that most kayakers should be able to hop right onto and paddle off. Our goal with the V8 is to provide a boat that bridges the gap between sea kayaks and surfskis. By blending speed, high stability and a performance oriented deck & outfitting, the V8 offers new levels of accessibility and opportunity. Fitness paddlers and racers who want extra emphasis on stability, touring kayakers looking to make the transition to high performance surfskis, or cruisers looking for a simple, efficient boat for a day on the water. The V8 will take you there. The V10 Sport offers terrific flat water speed and exceptional rough water performance, similar to the V10, but with more stability. It is the best all-around surf ski for intermediate to advanced paddlers in a variety of conditions! Intermediate level paddlers will quickly appreciate the higher speeds on flat water, while advanced paddlers will enjoy the enhanced balance, speed and handling characteristics in larger conditions. The V10 Sport fits a wide variety of sizes, accommodating paddlers from 5’0” to 6’7”. The footbrace is fully adjustable with self-adjusting pedals. The V10 Sport now comes with Epic’s revolutionary bailer system. The legend continues with the Gen 3 Epic V10! The Gen 3 V10 has increased rocker and modified seat placement. The length is reduced to 20’6” or 6.25m. Our analysis showed this length, combined with the new rocker profile, gives a noticeable improvement in maneuverability while maintaining good hull speed. Stability is similar to the Gen 2 V10 which feels rock solid for advanced paddlers in a variety of conditions. The ergonomic cockpit facilitates easy remounting, and the adjustable Epic bailer keeps your ride dry. The new V10 seat is barely wider than the V12 seat – still narrow enough to feel secure for average to smaller paddlers, with a few added mm to accommodate those squeezed in the V12 or V14. The under-knee hump is reduced for improved leg drive. Experienced paddlers will find the 2018 V10 to be the perfect all-around boat for a variety of conditions. In a class ad category of it's own the V11 is an exciting new addition to Epic's line of innovative surfskis. The V11 is for the progressive paddler who is looking for a boat that is agile and extremely responsive, making short work of the most difficult conditions. The goal of the V12 was to make the fastest surfski possible. Mission accomplished, until the V14 came along! 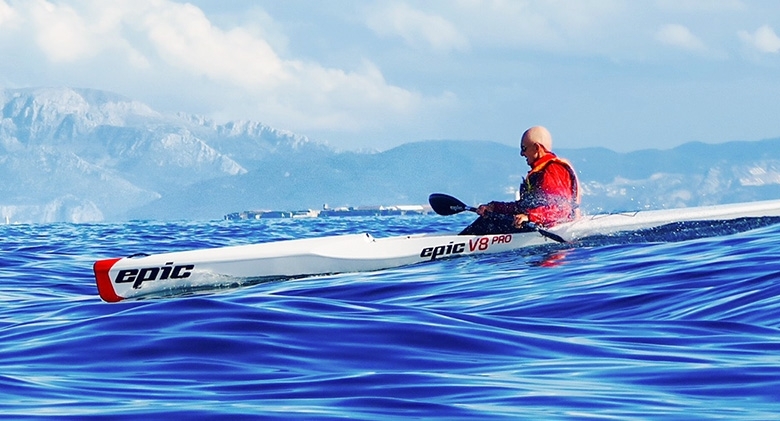 With more stability than the V14, the V12 is still an excellent choice for paddlers wanting an extremely fast surfski, yet not extremely unstable. The V12’s results speak for themselves. It has won multiple Molokai World Championships wins in the hands of different paddlers and other wins all over the world in many different races. The V14 is designed to be the fastest surfski on the market for mid sized water conditions. We’ve pulled out all the stops to go beyond the V10 and V12 with an even sleeker shape and narrower waterline. The bow of the V14 is much narrower compared to the rest of the Epic ski line. This helps the V14 knife through wind chop & small waves.